In the summer of 2008 Tarja Turunen, the ex-vocalist of Nightwish, played at Tavastia club, opening her European tour in her homeland. 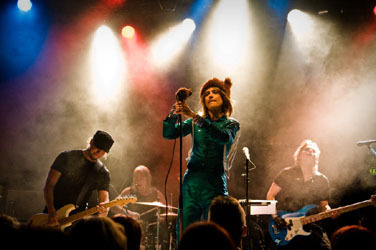 At the same time it was her first show in Finland in 2008, so Tavastia was packed from fans who had been waiting to see her live again. She has gained a strong fanbase after Nightwish, which is the reason she received both gold- and platinum records from her "My Winter Storm" album earlier this day. Despite of all the speculations about her career, this evening proved she does well on her own. The support groups were a strange pick. DOUG WIMBISH, the former bassplayer of Living Colour who also plays with Tarja, was one of the support bands, more unique and even more entertaining than Passionworks. 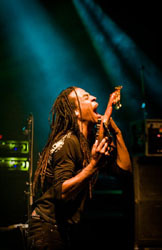 Wimbish is a lively performer in all aspects, who's hypnotic and humoristic narration between the songs kept his crowd fascinated till the very end. 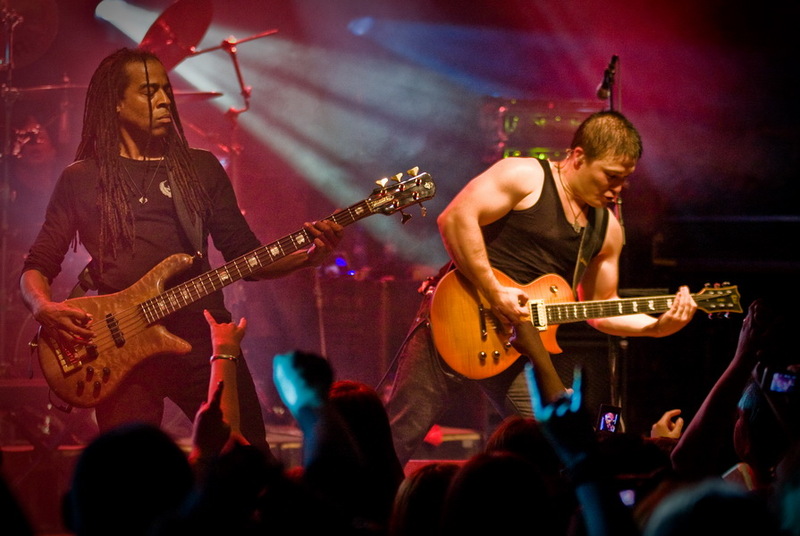 Performing a few songs with drummer Mike Terrana, Alex Scholpp on guitar and in Doug's words cellist Max Factor, better known as Max Lilja from Apocalyptica fame, he also did a couple of songs alone. 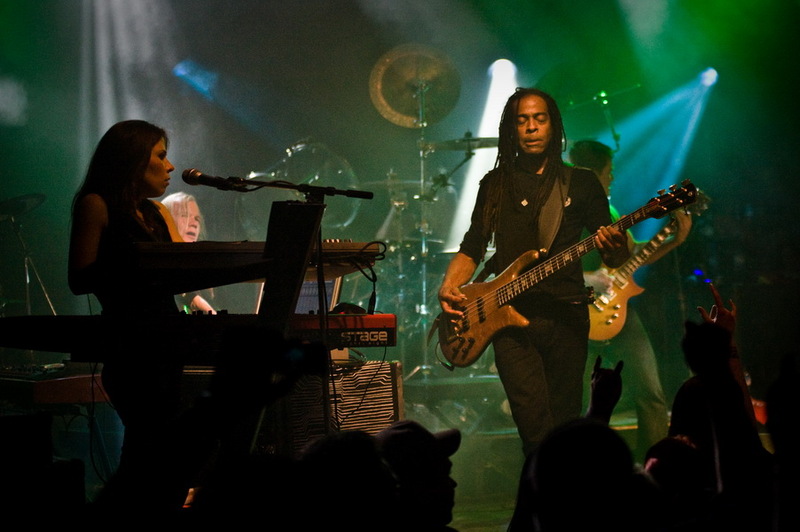 Wimbish doesn't really need a band to back him up, he is a one man wonderband that fully entertains a crowd open to his political views, bass tricks and progressive complexity and loves to watch a man play with his teeth. 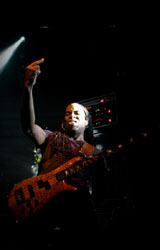 "Terrorism" was a track, that well recapped this short spectacle, Wimbish is a natural performer with many talents and a lot on his heart. PASSIONWORKS, who play melancholic poprock, must've been slightly too artsy for Tarja's fans. 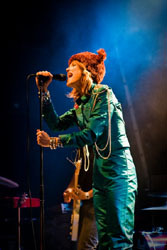 Their music appeals more to the adult audience that also loves their Bjorks, Anneli Dreckers and Karin Dreijer Anderssons. 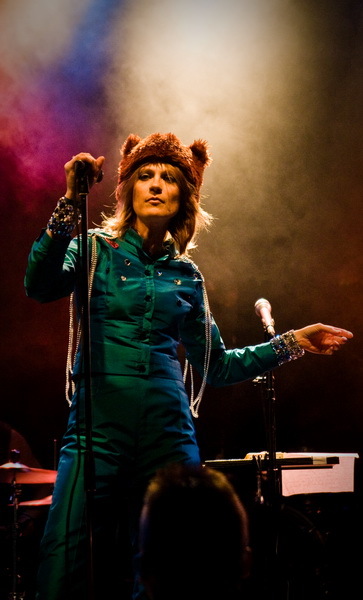 Passionworks is a cleaner and more simpler group though, more the sorts of Radiohead and Muse, but with their female singer strangely named Harry, who's dressed in weird Russian influenced outfit with a furry hat performing strangely, they show similarities between these performers. Harry might've created a look for herself that fullfills its purpose dividing opinions and raising conversation, but for a singer this wasn't her evening. 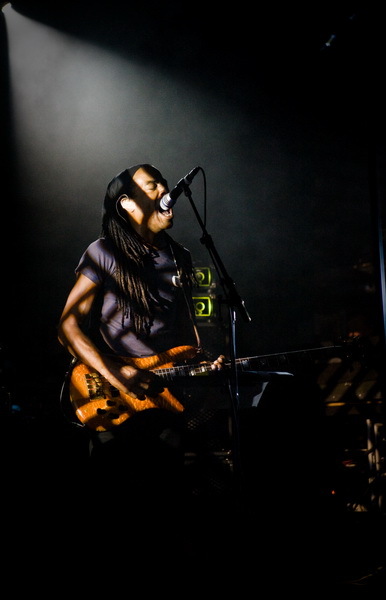 Still the band threw a pleasantly easygoing show, although only to a handful of people. Whereas the two support groups offered a wide variety of influences from the world of music, TARJA TURUNEN sealed the evening with something her support bands hadn't yet covered. Her show was a mixture of Nightwish songs, her solo album and songs she has covered from other bands. Her band included Wimbish on bass, Alex Scholpp on guitar, Mike Terrana on drums, Maria Ilmoniemi on keys, Max Lilja on cello and Tarja's brother Toni Turunen on lead and background vocals, electric drums and keys. 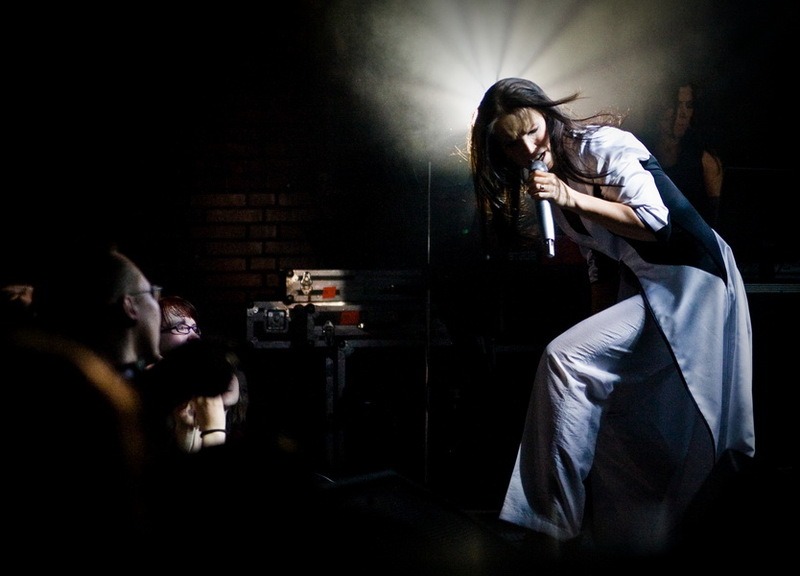 Tarja was the mysterious lady she always is, sneaking on stage for starters and performing in her elegant yet distant manner. As soon as she reached her spot in the middle of the stage, the gloves were off and the room filled with a sea of hands greeting her. Two songs off her solo album began the set. 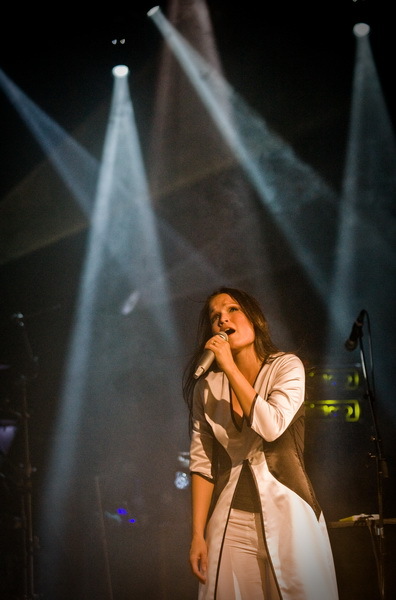 "Lost Northern Star" and "My Little Phoenix" were a good introduction to Tarja's world, which isn't far off where she left from with Nightwish. Operatic and theatrical atmosphere soon hovered over Tavastia, the shockingly loud mix was a mood spoiler though. 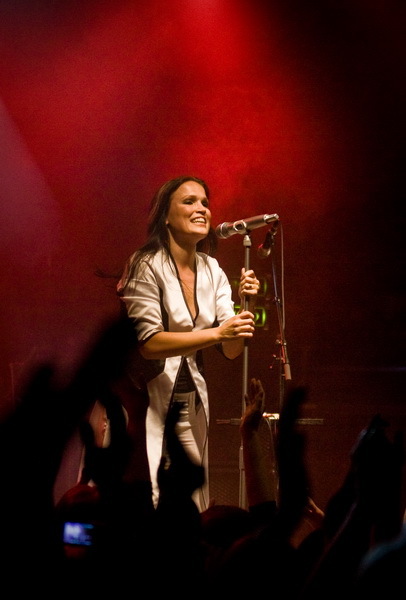 Tarja was glad to be back in Tavastia after a long break, and after her short speach the band continued to the first Nightwish song "Passion And The Opera", which included a crowd singalong. 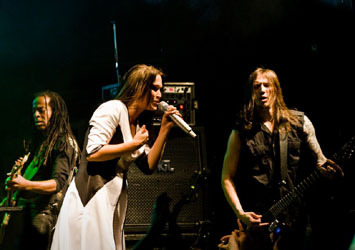 This piece works better with the Nightwish crew, of course Tarja singing it as she did it in the first place, but Tarja's band did a good job too. 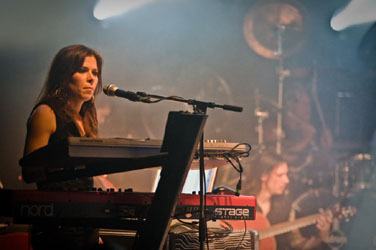 The set balanced between different songs and moods, including three Nightwish songs, three cover songs and her own set. 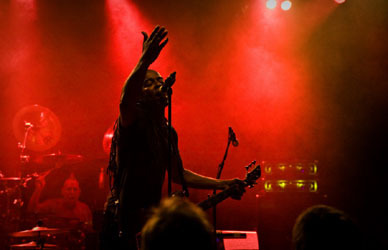 The crowd enjoyed the whole set, but the Nightwish songs were magic, especially "Nemo". The Alice Cooper cover "Poison" doesn't work for her, might not work for anyone really, the arrangement doesn't posses the slick movement and catchiness the original does, but feels more of an unfinished puzzle, spoiled with a dreadful modern touch. And Gary Moore's "Over The Hills And Far Away" always worked best played by the master himself. Some covers just don't work, but "Phantom Of The Opera" is something I've always enjoyed from Tarja. 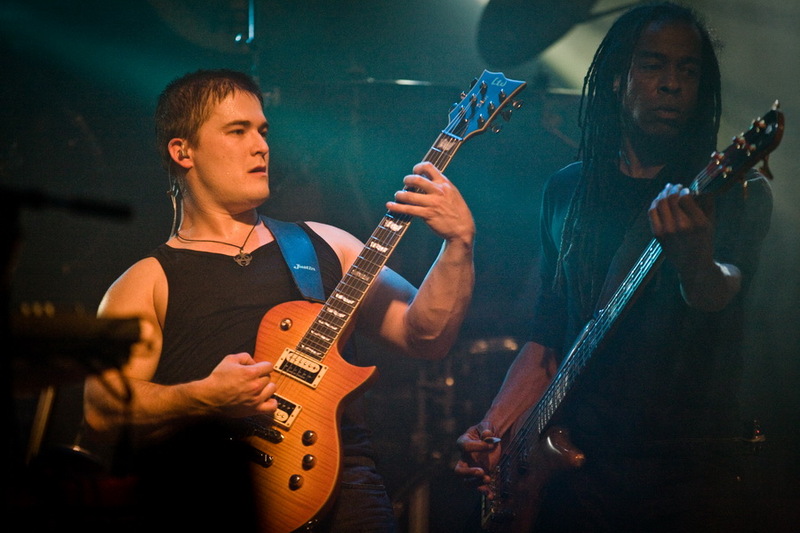 Unfortunately this cover isn't as massive and passionate anymore as it was with Nightwish and Marco Hietala, but Toni did Marco's part as well as he could. 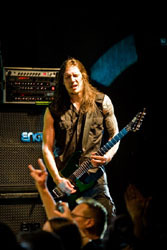 It's not easy to replace vocals as huge as Marco's, he is after all still the greatest male metal singers in Finland. Having a drummer as great as Terrana it would be a shame i f he didn't get to show off. So he got his spot in Tavastia, but Tarja's crowd isn't the best one to throw the crazy load of skills at. 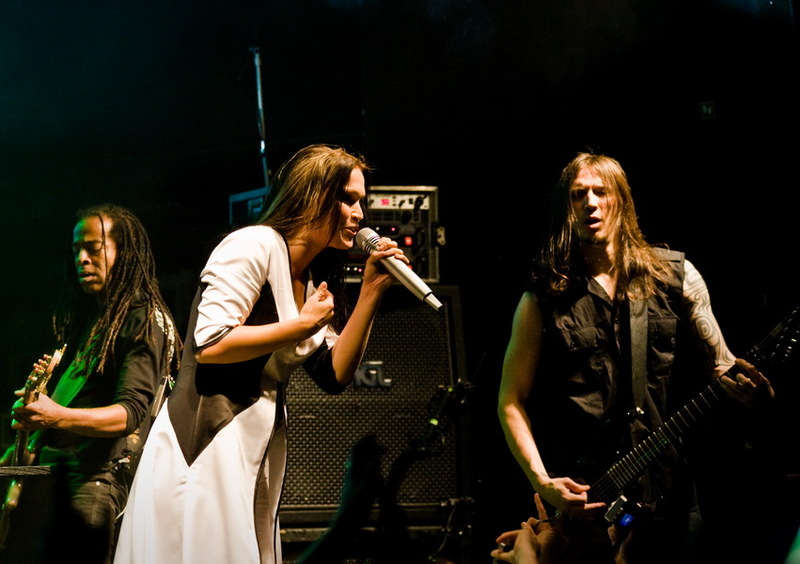 At this point Tarja left the band alone for a jam and changed her clothes meanwhile. 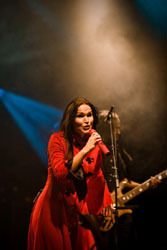 The show was very visual on Tarja's behalf, she had various dresses fitting different moods, dresses familiar already from her Nightwish era. 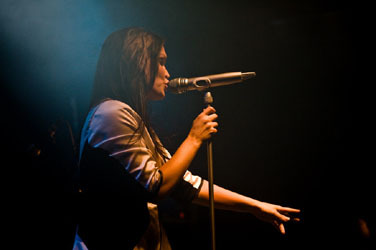 With the variety of things Tarja had to offer in a small show such as this with the Tavastia balcony closed showed she is an entertainer at heart, the small venue didn't matter. There was no indication she performed for a smaller crowd, she was like any professional giving fans what they're craving for. 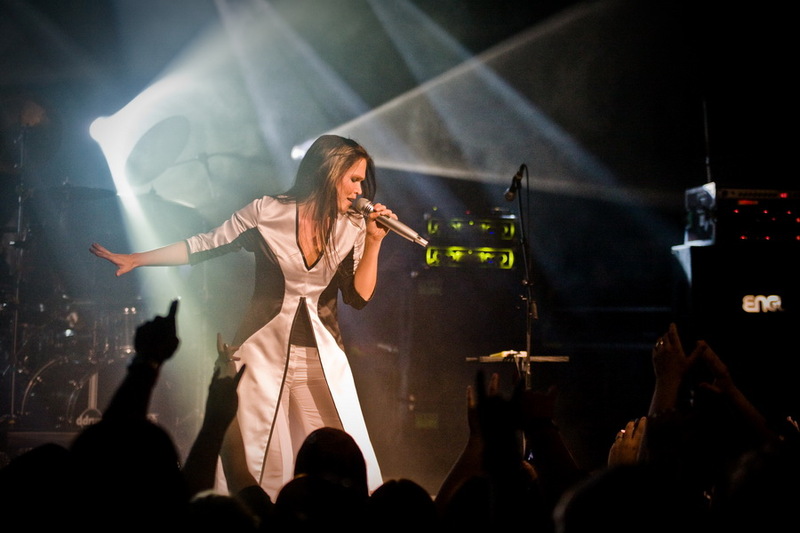 The sentimental set had its dramatic dark moments, the serene love songs, the modern pop twists all backed with great theatrical lighting, and even Tarja playing keys. "Sing For Me" was one of the shows dramatical pieces, and Tarja took over on keys after this with her own song "Oasis", which was one of the most beautiful moments this evening. The following "Poison" showed a great deal of enthusiasm in Tarja, she clearly loves the song, but the song arrangement doesn't match her excitement. The bombastic "Wishmaster" could've been the song to end the evening with, but she still did two more songs before closing with the Gary Moore -cover. 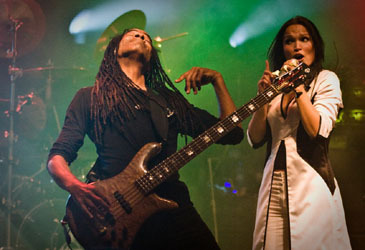 A mutual respect towards the band and the audience made this nearly a perfect show, this evening sailed in the fair winds of passion honoring Tarja and her achievements. 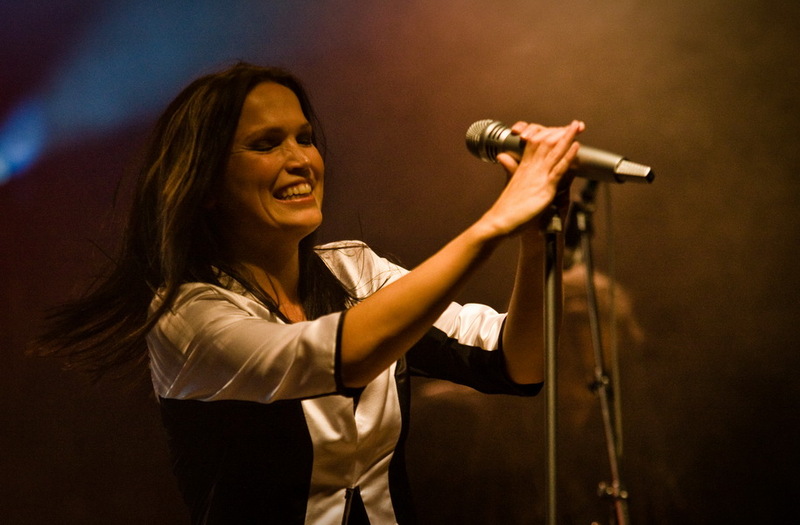 Now at last would be the right time to forget all the disputes around Tarja and Nightwish, and just enjoy good music as it is.